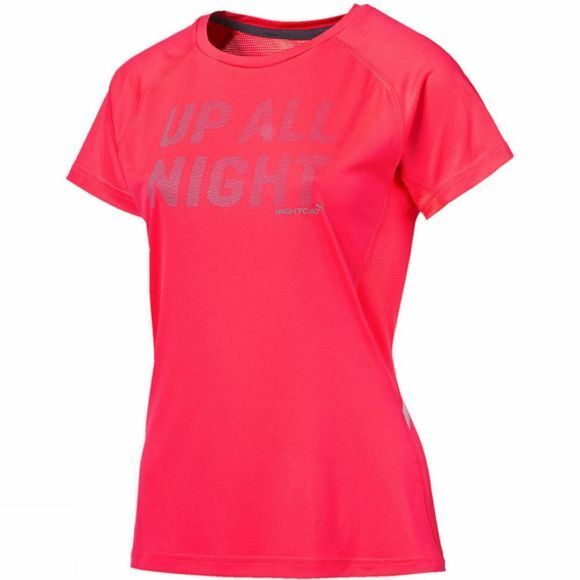 Puma Women's NightCat Logo Short Sleeve Tee is an excellent choice for those late evening runs in humid temperatures. Thanks to visiCELL as well as Reflective graphics and piping throughout, ensures that you're seen even in the lowest of lighting conditions. 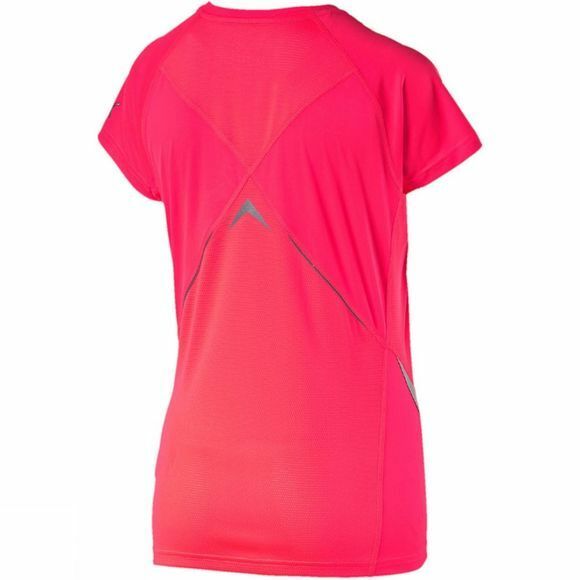 Mesh inserts provide improved air circulation at critical heat zones, which helps to provide you with comfort during your run whilst Cleansport NXT finish helps to control your odour output.